In Russia there are 3 categories of rights flying: private pilot (hobbyist), commercial pilot, and line pilot. If you want to become a pilot and conquer the sky - get a pilot's license. 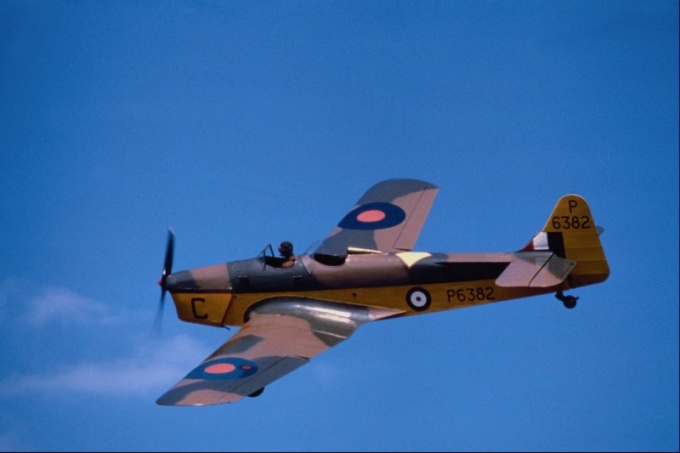 It is proof that you have finished corresponding courses at the flying club or weaned at a specialty flight College. Go to the flying club. After studying there, you will be able to get the certificate of private pilot. To become the owner of pilot's license, you must be an adult citizen that is over 18 years of age (for pilot and commercial pilot) and linear pilot legal age increased to 21 years. Pass a medical examination. 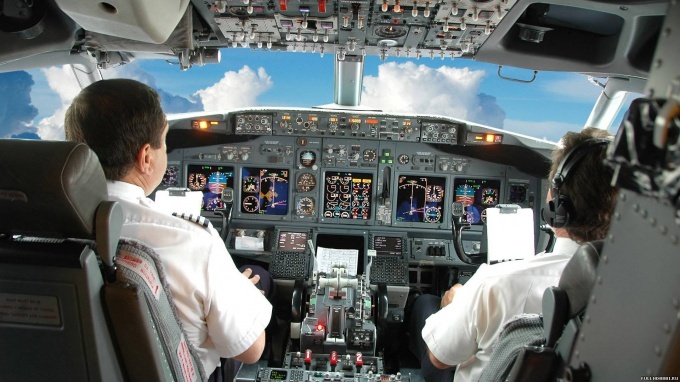 Candidate to obtain the pilot's certificate must have excellent health. He is obliged to undergo a medical ontestimonytion. It is held Vlek, GA (medical / flight expert Commission of civil aviation). Such commissions exist in the airports, flying schools and clubs HECTARES. If at least one physician recognizes the applicant for training unfit, permission to fly will not be issued. Medical certificate for private pilots is valid: 3 years under the age of 40 years and 2 years after the age of 40 years. In the aviation school will receive a certificate of completion of theoretical training. Candidate pilots need to study some of the theoretical courses: the design of the aircraft the flight manual of the aircraft, aviation medicine, samoletostroenie and many others. Take a course of practical training flights with an instructor and ground training. Training should be in a flight school that has certification of the state civil aviation authority. Total flight hours may not be less than 42 hours. Training flights will take place under the guidance of an instructor who has a certificate giving him the right to conduct such flight training. Get the certificate of the Amateur pilot, having passed the above training and a medical examination. If you want to become a pilot, you need additional training in flight schools or College. For example, commercial airline pilots and total flying time is not less than 200 and 1500 hours, respectively. Requirements for the health of the candidate with a new category of flight rights have also become tougher. Now in Russia the number of qualified pilots is declining dramatically, with commercial traffic growing every month. Many pilots trained in the Soviet era are retiring, and their places remain vacant due to the lack of appropriate licenses of the pilots. So how to obtain the appropriate pilot's certificate? You can get the license of the pilot after successfully passing the theoretical and practical training in specialized institutions. Remember that there are several types of licences a pilot. It is also necessary to take into account that some pilot licenses can also be issued tolerances, which determine the possibility of flights in different weather conditions and different times of the day. Therefore, before obtaining a license the pilot will decide what flights you will make in the future, and, on this basis, select the most suitable type of flight license. Also be aware that in different countries the pilot's license differ from each other. Start your flying career with obtaining the license of the pilot-the fan, as the initial stage in the system pilot's licenses. After obtaining such a license you will be allowed to take flights by rules of visual flights in the daytime and according to the rules of instrument flight, and also flying in the night time. Remember that you will not be able to carry commercial traffic, but will be able to take people on Board and equally sharing the costs for airfield fees, fuel and oil. To obtain the license of the pilot-lover you must meet the following requirements for the RAID: to have at least 40 flight hours, of which at least 10 hours of solo flight, including 5 hours of flying time on the route. Also you should have not less than 1 hours flying on instruments and at least 3 hours a RAID night, to perform at least 5 takeoffs and landings. At least one flight must be on the route, with a length of not less than 270 km. To obtain a commercial license you must have the licence of the pilot-the fan and to fulfill more stringent requirements on the fly. Your total flight time should be no less than 200 hours, which is counted no more than 10 flight hours on the simulator. You also need to get a twenty-hour RAID, carrying out flights as pilot-in-command, including a flight totaling not less than 540 km run during this flight and landings to a full stop at two different airfields. In addition, you must have at least 10 hours flying on instruments and 5 hours flying by night, including the implementation of five night takeoffs and landings. For obtaining a license linear pilot your RAID should be not less than 1500 hours and at least 500 flight hours as aircraft commander. In addition, you must have 200 flight hours, performing flights along the route. Of which 100 hours is as pilot-in-command independently or under supervision. You also need to have flown at least 75 hours instrument and 100 hours night. In addition to the above requirements for obtaining the license of the pilot , you must be 18 years or older (to obtain the license of the pilotof the Amateur and commercial pilot) and over 21 (to obtain the license of the linear pilot), to be able to speak, read and write in English (confirmed by a certificate) and also have the appropriate medical report. Getting a pilot's license requires good health, the ability to behave calmly in emergency situations, knowledge of materiel of the aircraft and flight experience. In Russia, the system pilot certificates based on Federal aviation rules "Requirements to crew members of aircraft, maintenance of aircraft and employees to ensure civil aviation".